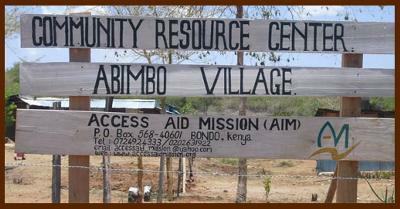 The Abimbo Primary School in Kenya is looking for volunteers. We are a public learning institution providing elementary knowledge from year 1 to year 8, located in South Sakwa of Bondo district. 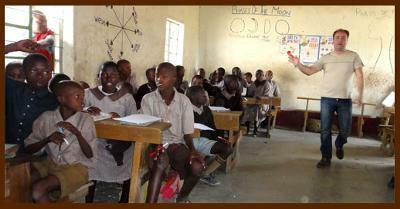 Learning takes place in English, Kiswahili and local Luo language to lower classes and nursery school. There are a number of volunteer school programs and activities run in conjuction with Access Aid Mission resource center at Abimbo School. This initiative provides volunteers with opportunities in Kenya to help in teaching in the Kenya public schools attended by the underprivileged children. Most of these schools are found either,in the slums or in the rural areas. In most cases, these schools are under staffed and have few teachers who need support from either local volunteers from Kenya or volunteers from abroad. Ahead of volunteering, volunteer teachers are provided with basic orientations on the Kenya community volunteer modules for schools which also elaborates on the Kenya syllabuses for primary and secondary schools (whichever is applicable). Please volunteer and help Abimbo Primary School. Be blessed. We had an opportunity to go to Abimbo village in Western kenya through a Tour company called Adventure Panorama safaris. 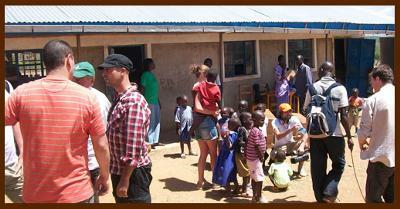 Its a tour company in Nairobi that specializes in responsible tours in Kenya. they also do tours to Tanzania. We had the opportunity to volunteer in various school programs in Abimbo school and it was great!!! The teachers are quite helpful and the students are very co-operative. Despite the language barrier, we were able to do quite alot with the help of the local translator. We thank Nickson ogilo so much for helping us exercise our knowledge and contribute to African society. We hope to be back again to go on with the projects we initiated.